-rama, is a noun suffix meaning: "sight, view, spectacular display or instance of". Add that to the end of ‘Bark’ and you get us - BARKARAMA - and our display of what we consider spectacular in the world of dog. 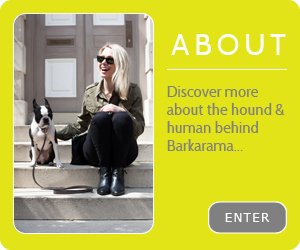 BARKARAMA spotlights the modern dog trends, petwear and product must-haves capturing the interest of me – Alex Frith / devoted owner and my Boston Terrier - the gorgeous Basil. Ever the social pair, we also love discovering hangouts where dogs receive a warm welcome. Hailing from a multi-paw household you’ll find the occasional bit of cat chat too. 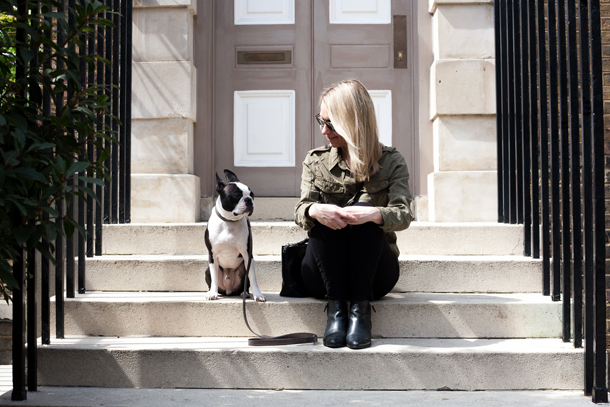 About me… long-term dog, shopping and fashion obsessive. Lifestyle PR. Talks a lot – especially about dogs. Beyond Barkarama, you'll sometimes catch me writing pet product content for the Townandcountry.co.uk. About Basil… chief reviewer, roving repawter, ridiculously good looking, Pets As Therapy volunteer and professional dog model.